With some outstanding Phuket romantic restaurants to choose from, including a select few right on the beach for that extra bit of spice, a candlelit dinner for two is definitely a great way to start a romantic evening in Thailand. Next comes the choice of what to eat. There are many international cuisines represented in Phuket, but we wholeheartedly recommend the unbeatable Royal Thai food. The distinctive tastes are often made with ingredients proven to have an aphrodisiac effect, including the following. One of the most fundamentally important ingredients of almost all Thai cuisine, the invigorating hotness of the chilli pepper stimulates the release of endorphins – the ‘feel-good’ hormone. Eating a particularly spicy dish will get your heart pumping, makes you sweat and increases the sensitivity of the lips and tongue. Chillies are routinely ranked among the most effective aphrodisiacs in the world. The best Phuket romantic restaurants include plenty of basil in many of their dishes, particularly stir-fries. Thai Basil, sometimes called “Holy Basil”, is revered as an ingredient as it is thought to also reduce blood sugar, boost circulation and relieve stomach ulcers, among other health benefits. The distinctive scent is said to be quite a turn-on. The health and romantic benefits of ginger are very similar to those of chillies, mostly because the two are known for adding a bit of a spicy kick to dishes. Popular in Thai curries, ginger has more of a gentle warming effect that the sometimes overpowering peppers. The result is the same, though: increased pulse and blood flow, along with heightened senses. 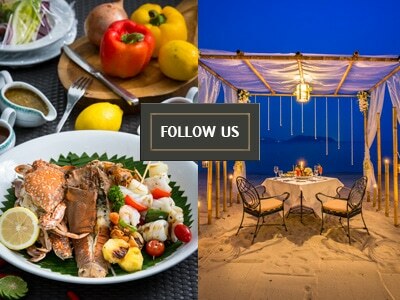 Being an island, you will naturally find seafood on the menus of most Phuket romantic restaurants. It is already known for its health benefits, including the almost magical properties of omega-3 fatty acids, which are thought to help fight cancer. Several seafoods are specifically renowned for their aphrodisiac effects, too, including mussels, oysters and salmon. Being rich in protein, any fish dish will give you a big energy boost, which never hurts in the romance department. Not what you might have thought of as the most romantic selection from the desserts menu, but the fruit platter is probably the best way to finish off a wonderful meal with the one you love. The juicy red flesh of the watermelon is loaded with Viagra-like chemicals, which really get the blood flowing. As an additional benefit, the same nutrients – particularly lycopene – are thought to help fight cancer.